Your electrical installation should be checked every 10 years by a qualified electrician, but what about in-between times? This guide looks at what you can do to stay safe in your home. 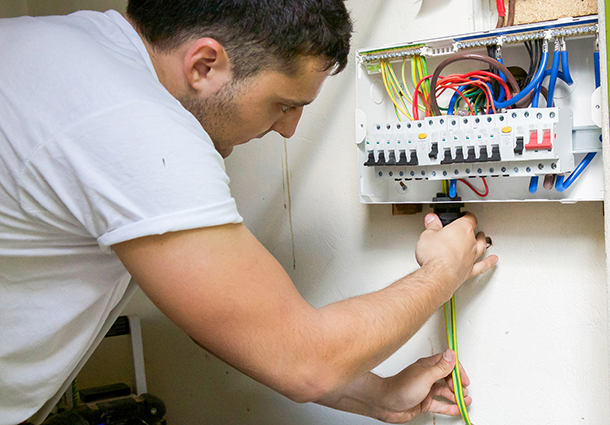 Our article on electrical-installation condition reports looks at the regular checks a qualified electrician can perform on your electrical systems. Read on for more tips from our traders on staying safe in your home. Was your property built after 1990? 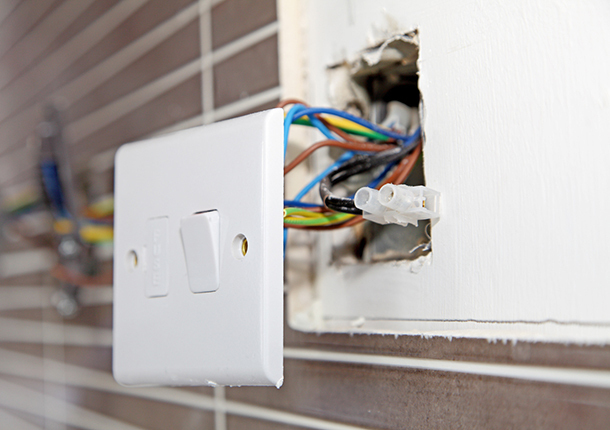 Has your property been rewired within the last 10 years? Does your current fusebox have a residual current device (RCD)? If the answer to these questions is no, then you probably need a new fuseboard (consumer unit). An NICEIC approved or Which? Trusted Traders endorsed electrician will be able to come and assess your fuseboard free of charge, to let you know whether it is safe or not. If you do need a new fuseboard, you should expect to pay around £500 – costs could be higher if the installation is complex. What is a residual-current device (RCD)? Fitting RCDs into fuseboards across all circuits has been part of the UK safety standard since 2008. Current regulations say all socket outlets should be covered by a 30amp RCD. If you’ve got any installations outside or in the bathroom, an RCD is essential. If you don’t have one on the circuit when you’re using a lawnmower or other electrical products outside, ensure there's an RCD on the flex cable to protect you if the cable is accidentally cut. If your wiring was installed before 2008, or has not been checked recently, it’s worth getting a qualified electrician in to ensure you have the necessary RCDs on your circuits. You can find an endorsed electrician in your area with Which? Trusted Traders. You should test your RCDs yourself regularly. Press the button marked 'T' on the device. If it doesn’t automatically switch to the off position, you need to get a qualified electrician to check it. Smoke alarms are only designed to last around 10 years, as they contain components that are unlikely to work effectively after that time. Which? Trusted trader Justin Bucknell, of Justin Bucknell Electrical, told us his team is often called out to service smoke alarms that are no longer in date. Several of our Which? Trusted traders mentioned installing LED lighting as a cost saver. Not only do LED lights use less energy than standard ones, but they also are less likely to overheat. Similarly, you shouldn’t put loft insulation too close to downlights, or over the top of them, as this can cause them to overheat. Most of us can manage to change a light bulb without causing too much damage, but it’s always advisable to employ a qualified electrician to fit sockets or undertake other electrical work. If you want to install metal light fittings or switches, ask your electrician to ensure the lighting circuit is properly earthed. Grants Electrical Services Ltd’s Martin Grant said: ‘By law you have to be competent to fit sockets. 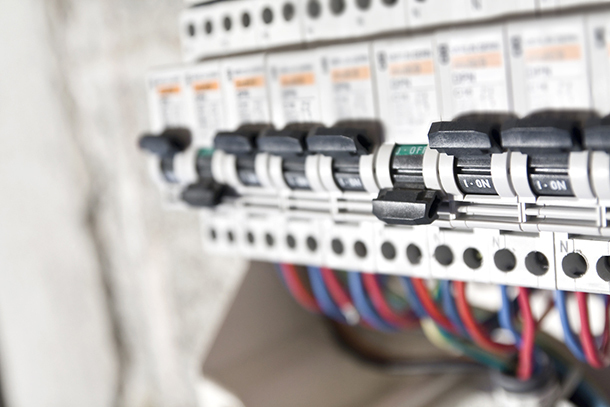 It may seem straightforward, but having loose connections can compromise the safety of your installation.’ Find out more about when you need to notify building control if you are making electrical installations or repairs. If you have an electrician visiting your home to check your electrical installation, ask them to check the sockets you use for your home appliances. Bear in mind that some home appliances are more vulnerable to faults than others – always unplug hairdryers and straighteners after use, for example, as regular handling of these devices make them more liable to short circuit. If an appliance comes with a plug attached, don’t remove the plug’s sealed top. Martin Grant told us about a customer who had an electrical fire at the back of her washing machine because the installers had removed the original plug. Over time, loose connections in the replacement plug short-circuited and melted the socket. Ensure plugs have the correct fuse for the power rating of the appliance. Simply putting a 13amp fuse in every plug doesn’t work if the fuse needs to be more sensitive. Check the manufacturer’s instructions if you are unsure. But as a general rule, fuses in plugs for appliances rated up to about 700 watts, such as table lamps, televisions, computers, mixers, blenders, fridges, freezers, power drills, jig saws and soldering irons, should have a 3-amp fuse (coloured red). If you need any checks carried out on your electrical systems, remember you can get a no-obligation quote from a Which? Trusted Traders-endorsed electrician in your area.